Making the most of a Spring Tide this workshop gives you the opportunity to explore part of the North Devon Coast when the tide is at its lowest. 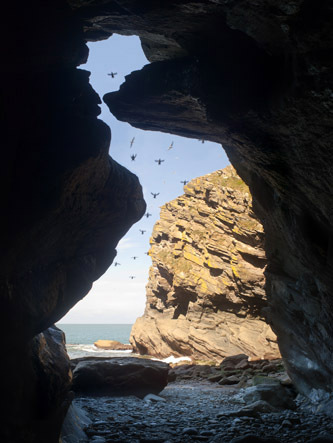 You'll get to learn about my practice that has been dominated by the photography of sea caves over the last 5 years. You’ll also be encouraged to make your own personal response to this landscape. I have a wealth of knowledge and experience of photographing 2D artwork, jewellery and ceramics and I’m happy to pass this on to artists eager to improve their own image making camera skills. The first part of this days workshop will be spent learning how to optimise your camera for best results; then you'll experience photographing your own work and this is followed by some basic enhancing on a computer to make your images look like the original. One of the best things about this workshop is that I’ll show you how you can make professional looking pictures in your own house without having to invest in a new camera, lots of new equipment and computer software. I’ve also got a couple of workshops at the Burton Arts Gallery in the autumn. 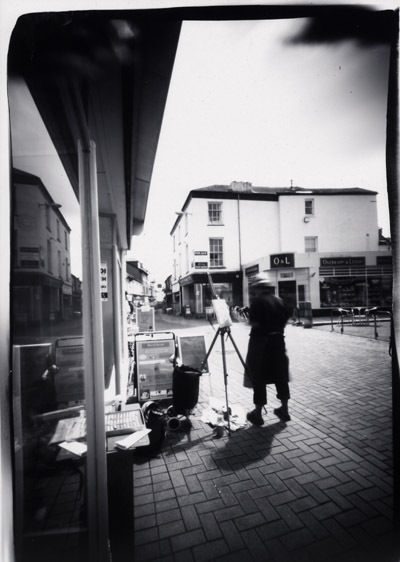 On Friday November 4th I’m running a Pinhole Photography course through NSEAD especially for art teachers and on Saturday 12th November I’ll be running a Portraiture workshop there with reference to the Snowdon exhibition which will show in the gallery.